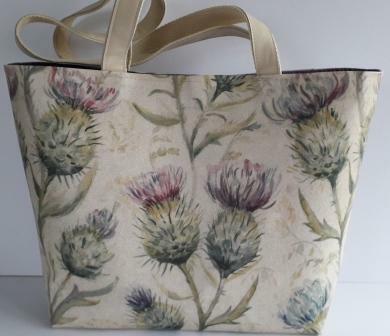 Create your own tote bag with a Gléasta Kit. The kit includes pre-cut bag pieces, clasp and instructions. Floral wipe clean oilcloth fabric. Green lining, inner pocket and shoulder straps.